The NetApp Manageability SDK (NMSDK) is an extremely powerful resource for programmatically interacting with your NetApp ONTAP systems. 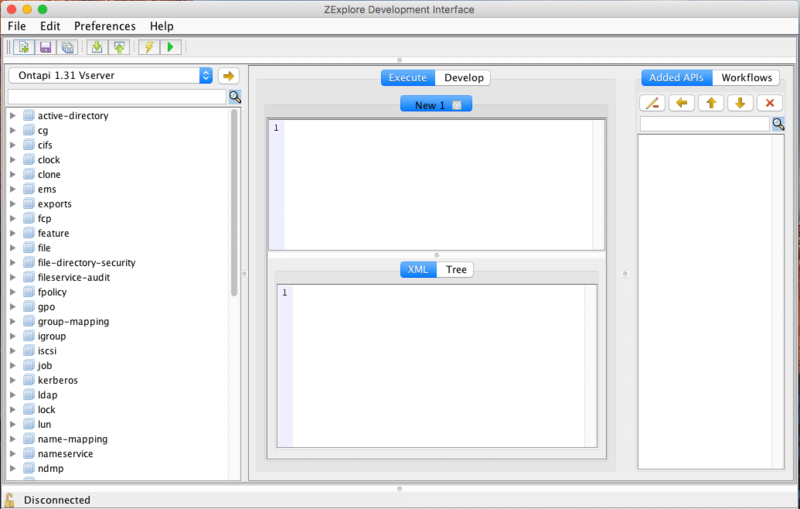 Included with the NMSDK is the ZExplore Development Interface which will auto-generate the relevant code that you will need to execute. However, every once and awhile you may run into an unexpected bug in the provided code examples. Let’s explore one such example, creating a new DNS entry, and walk through how to take advantage of the NetApp provided resources to troubleshoot and solve the issue. To start with let’s take a greenfield cDOT 8.3.1 deployment that currently does not have any DNS configurations in place. The ZExplore tool provides the following Python code to create a new DNS entry. Note: I have removed several optional variables and the code required to connect to the NetApp Cluster for the sake of readability. The confusing part of this error message is expected element string. At face value it looks like the NMSDK is looking for a Python string object type. If you double check our code we are clearly passing wwt.com as a string so that should not be the issue at hand. Thankfully, NetApp has a Slack Channel (thePub) dedicated to all things DevOps including the NMSDK. Working with Andrew Kerr, who is on the NetApp OpenStack team, I was able to quickly troubleshoot the issue. Andrew was able to generate the following XML code through an internal development tool which quickly cleared up the problem. To make the code a little easier to digest and to fully understand what the Python code is accomplishing lets break apart the Python and XML code. The first thing we need to do is tell the NMSDK what we are trying to configure, in this case create a new DNS entry. Next we define a child element under the top level net-dns-create element and then add a child string to define what that actual element value is. Rinse and repeat for the name servers and you have a working code base. If you ever see the For array tag domains: expected element string error message just remember that the array tag should be a child element and the element should be a child string on that element. If there is any confusion, the Slack Channel is at your disposal and full of resources ready and eager to help.